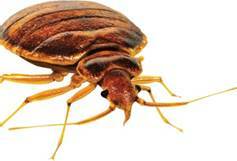 You can count on intensive research into more and better products to eliminate and control bed bugs as they affect more and more people. You have seen that current strategies are imperfect, and that the easiest way to successfully manage these new-to-us pests combines careful preparation and monitoring with chemical and non-chemical bed bug treatments. But it’s always possible that totally non-chemical solution will present itself, and you can live bed bug-free without exposing your family to any product that you feel is unsafe. Because of the health reasons, it’s doubtful that that a DDT will make a return to the market place as a treatment to the bed bug problem; researchers may discover or invent another, safer pesticide that eliminates the bed bug threat. But until then, we are only left with imperfect treatments.